It’s all started when my family found the perfect spot to celebrate my parents’ wedding anniversary in a juicilicous way – Korean BBQ of course! Despite with the overwhelming choices of Korean cuisine in Kuala Lumpur where the youngsters prefer to go for cheesy BBQ, cheesy Korean chicken wings pairing with Korean alcoholic drinks, I still prefer a conservative way – BBQ with a good old Kimchi Jingae to warm my tummy, especially in this rainy season. The place we went to is BAKO Korean located at the heart of Sri Petaling. With its blazing bright restaurant signboard, there’s no way you would missed it. BAKO served as a trendy upbeat Korean restaurant where features loads of beverage commercials are heavily endorsed by Korean celebrities (and to be frank, I can only recognize Song Joong-ki out of all). The restaurant is quite spacious, suitable for gathering and celebration. They have splendid interior design for a comfortable yet upbeat environment. Also, they have two sections: non smoking and smoking section with a glorious transparent glass in in between. As our family tradition, one does not NOT order BBQ for celebration. We ordered a set of Pork and octopus BBQ with Kimchi and seafood Jingae, pajeon (Korean pancake) plus a traditional Korean Wine for sharing! 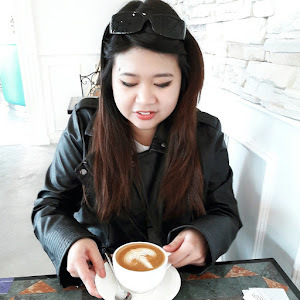 If you are a fan of alcoholic drink, I personally recommend Bekseju – a traditional Korean wine, a Korean glutinous rice-based fermented alcoholic beverage flavoured with a variety of herbs, ginseng most prominent among them. It has a slightly sweet taste so it is good to dine with these glorious BBQ! The service level of BAKO is very good, in my opinion. Not only that the staffs are friendly, they are attentive and willing to share and joke around with us while serving the BBQ (and always dare us to bottom up whenever we are having alcoholic drinks lol). No doubt there is a high rave among the Korean food lovers in Klang Valley, the food is splendid; the service and cleanliness of the restaurant is good and convenient to those who are staying around this area. BAKO is currently expanding where they will be opening a new brunch at Bandar Puteri, Puchong (above Standard Charted to be exact!) soon in this coming October.